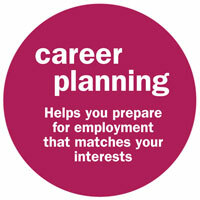 Instead of resume writing, the first step in your job search is career planning. For example, you may need to know if you want to find a job in academic, industry, or even start your own business. You also need to have a long-term vision in your mind to guide yourself. Without a clear vision in your mind, you may easily get lost in job market. After all, even if you get your perfect job, how long can you keep it? Your career planning can all boil down to your self-analysis. You can ask yourself some questions like “What kind of person am I”, ”What kind of person do I like best to work with”, “What kind of knowledge and skills do I have” and “What’s the most important things for me in a job?” etc. Be honest to yourself and take some time to reflect on it. You may not really know what’s your perfect job until you first do some self-exploration like this. Then you can brainstorm some job titles that sound interesting to you. For example, if you’re a recent electronic engineering graduate, you can pursue job positions in the following fields: electronic engineer, technical support, sales representative, consultant, etc. Compare your options and decide which career path interests you the most. People tend to select careers they think they already know: law students become lawyers, engineering students become engineers. But what if after several years, they find that they don’t like their jobs at all? If you can think outside the box and develop a broader vision of your career possibilities, you’ll find a career that you enjoy doing and also do well, a career which is based on your interest, aptitudes and personality. What do you think about this post? Share your thoughts by leaving a comment. I’ll reply – as usual. And…don’t forget to use the share button.